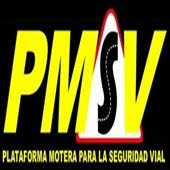 DESDE VOYEDECONCENTRACION.COM LES DAMOS LA BIENVENIDA A ESTA WEB. NUESTRO OBJETIVO ES FOMENTAR LAS CONCENTRACIONES EN ANDALUCIA,ASÍ COMO CONOCER TODOS LOS RINCONES , MUNICIPIOS,LA GENTE,LA GASTRONOMÍA,LUGARES DE INTERÉS,LAS CARRETERAS Y EN DEFINITIVA TODO LO RELACIONADO CON EL MOTOTURISMO DE NUESTRA COMUNIDAD. POCO A POCO IREMOS ANUNCIANDO,CONCENTRACIONES,REUNIONES,KEDADAS. GRACIAS A TO@S Y COMENZAMOS UN NUEVO VIAJE EN MOTO JUNTOS.